A digital advertising agency can do much more than promote your brand and website, it can help you develop your brand further. This is why many companies decide to use the services of companies like Huemor Designs. 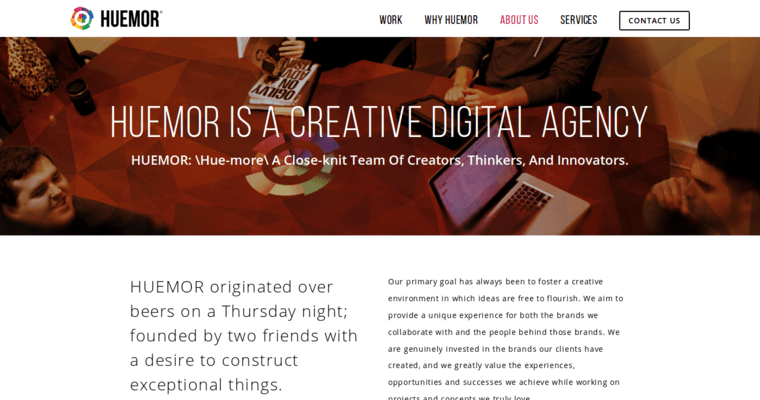 Huemor Designs is a digital advertising agency that caters to the needs of a growing list of business sectors. Some of the main examples on their websites are finance, real estate, legal, non-profit, e-commerce, technology, and healthcare. One of the main services that Huemor Designs offers is search engine optimization. This is a great way for businesses to enhance their online presence and increase the amount of traffic that is being generated for their website. They also offer PPC campaign services as well. This can serve as another way to further enhance website traffic. Besides their digital advertising solutions, Huemor Designs also offers web development services like website design as well.